Queens Road, Ealing. A large detached house in this peaceful cul-de-sac close to Ealing Broadway. This project involved stripping every room, plastering, tiling and decorating. 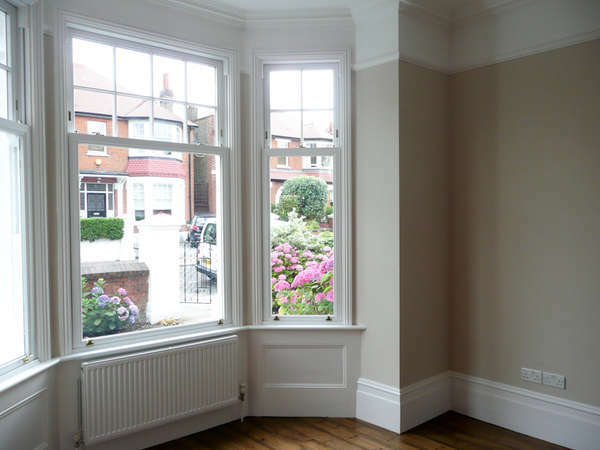 We sourced and fitted reconditioned Victorian fireplaces, replaced damaged cornices, matched dado rails and skirting boards with the originals and replaced the windows. We found antique fittings for the front door to replace the damaged original ones and commissioned bespoke stained glass panels as the original ones had been removed. We advised the client on colour schemes for walls, curtains and floor coverings.